Tillakaratne Dilshan is one of the most explosive and innovative batsmen in the world. He has patented scoop shot in his name which is known as Dilscoop nowadays. 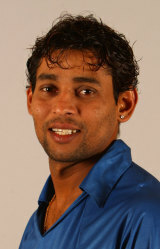 Apart from good batsmen Dilshan is handy bowler and brilliant fielder as well. He is backbone of Sri Lankan batting line-up. Much of the Lanka’s success in this World Cup will depend on the performance of Dilshan as he is the one who will open the batting and if he clicks then nobody will stop Sri Lanka from posting huge total or chasing any total. He is quite similar to Virender Sehwag as far as batting is concerned with great hand-eye co-ordination. Potential match-winner for Sri Lanka. Suddenly 1996 looks far away but remember they won in 1996 that too in sub-continent and again going to play in sub-continent in this World Cup. There is no Ranatunga or Aravinda DeSilva or Sanath Jayasuriya this time round but what they have is brilliant captain in Kumar Sangakkara who is captaining lethal team of hard hitting batsmen and one of the lethal bowling combination of pace and spin. Sri Lanka have the likes of Muralitharan and Lasith Malinga. Both of them are match-winning bowlers especially in sub-continental conditions and too back their bowling they have great batting line-up which comprises of Dilshan, Sangakkara, Jayawardene and handy all-rounder in Angelo Mathews and Thisira Perera. Both Mathews and Perera are good bowlers and very explosive batsmen down the order. Sri Lankan team is the most balanced side and to their credit they don’t have significant injury problems. The Islanders are brilliant fielding unit as well probably best in Asia. I believe Sri Lanka is capable enough to win the World Cup looking at their current performances. Watch for Sri Lanka in this World Cup they will going to rock the World Cup 2011. Tough oppostion to beat in sub-continent. It is last World Cup for great bowler Muttiah Muralitharan and he will definitely try to do well in this World Cup before his exit from the shorter version of the game.